We decided on Tropicana Golf and Country Resort's Tai Thong (Spring Garden) Chinese Restaurant. This wedding venue is highly recommended by BTBs. A bride commented that all her guests remembered how good the food was instead of how pretty she looked on the wedding reception. 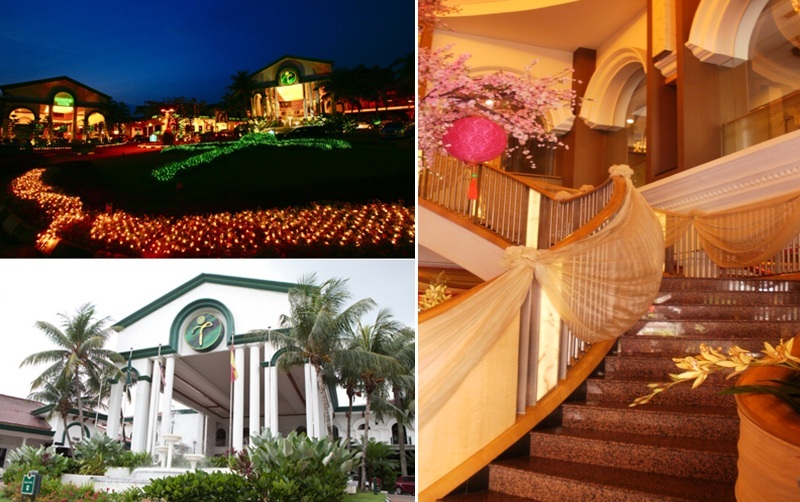 The Tropicana Grand Ballroom is overlooking the verdant green of the award-winning Tropicana golf course. We drove past many luxurious big houses to get to the resort. Stage is big and tall with impressive lighting. There is a projector screen by the side of the ballroom, guests are able to have a better glimpse of the slideshows. There are also several other LCD monitors spread across the hall, one outside the ballroom at the reception area. The ballroom is fantastic. I had been communicating with PIC, Diana (Spring Garden restaurant). She was extremely efficient. If in doubt of my queries, she would check and get back to me on the same day. One thing I would change is the stage backdrop which I think was too childish, looking back. My wedding was in 2012. There are no corkage charges for alcoholic beverages such as hard liquor and wine, charge for beer is RM100. We wanted to change the shark fin soup to another dish but the manager told us the soup is made of artificial shark fin. Puzzled. It has a pork-free kitchen. If you are interested, be quick. 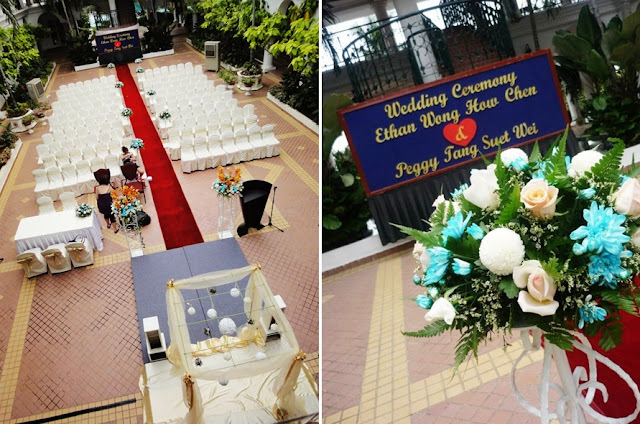 You have to book this venue well ahead as it is a very popular place to hold weddings. 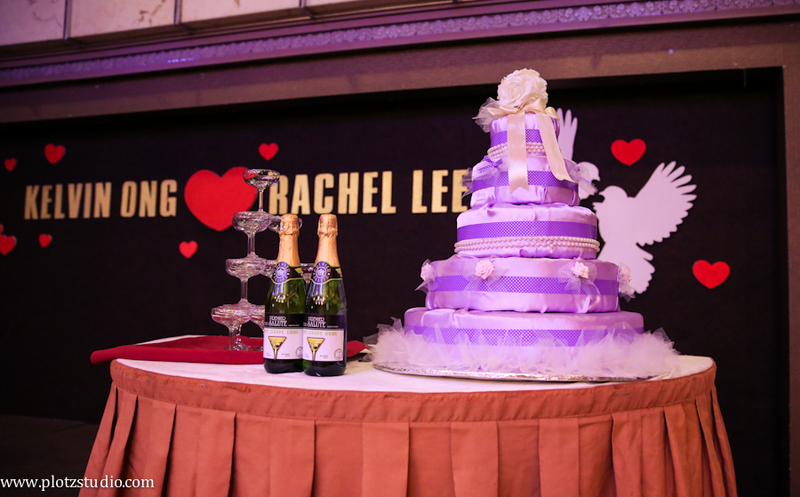 Photos of my wedding reception at Ballroom III. Food and service were good. Apr 2012. 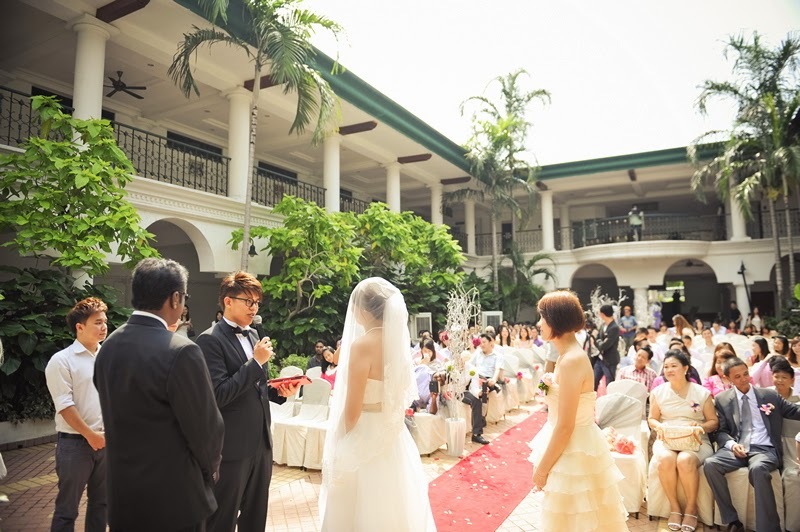 Spacious ballroom , very ideal for wedding dinner (60 tables fits perfect) , friendly staff , spacious parking (but uncovered) , lots of smoking area cater for smoker , overall very well maintained club house ! 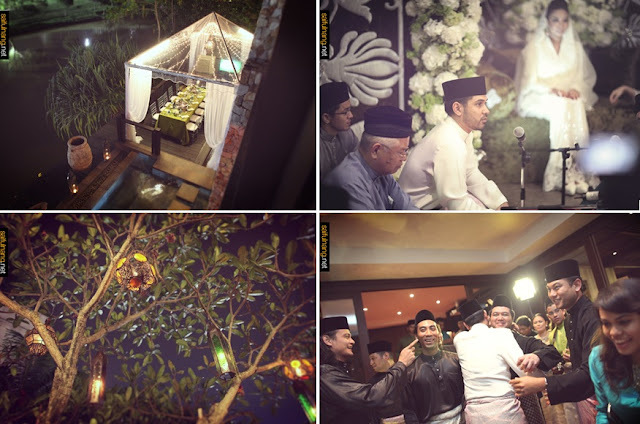 It is indeed a great experience to attend a wedding here! 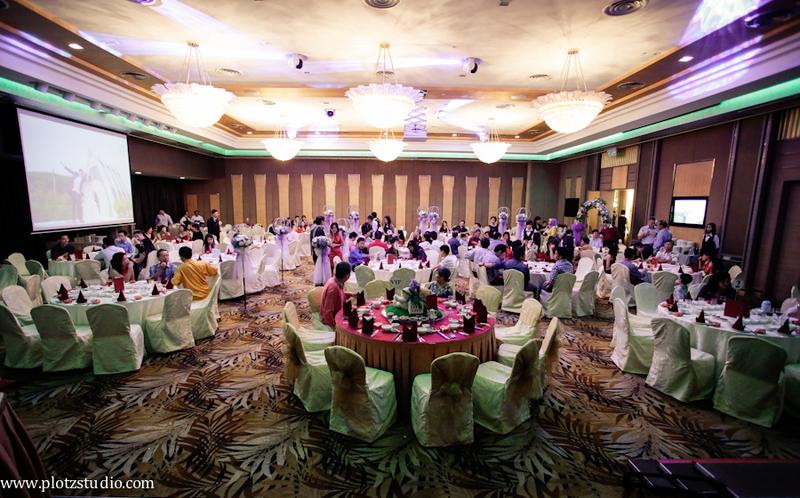 Wedding banquet was held at Tropicana Golf and Country Resort at Damansara. The ballroom is huge and classy. Simple and nice stage backdrop. I visited tropicana tai thong few months ago to attend a wedding dinner and I found the ball room is grand and nice, high ceiling, good ambiance. The food is not bad too and the service is okay. I will recommend this place if you are looking for nice venue. I dealt with Diana. She is very prompt. If she needs to confirm something, she would check and get back to me (on the same day). She also called me to confirm the little detail, is helpful, and willing to add more complimentary invitation cards when requested. Food and service were good. My aunt commented that the food was the best among my other sisters’ weddings. I have 3 sisters and all of them married. Diana was kind enough to help us conduct our tea ceremony for my husband’s family. I got more than what I paid for. Tropicana Golf & Country Resort yang tersergam indah. Lampu corak bunga cantik la. Hall sangat cantik. Tangga berkembar dihias cantik. 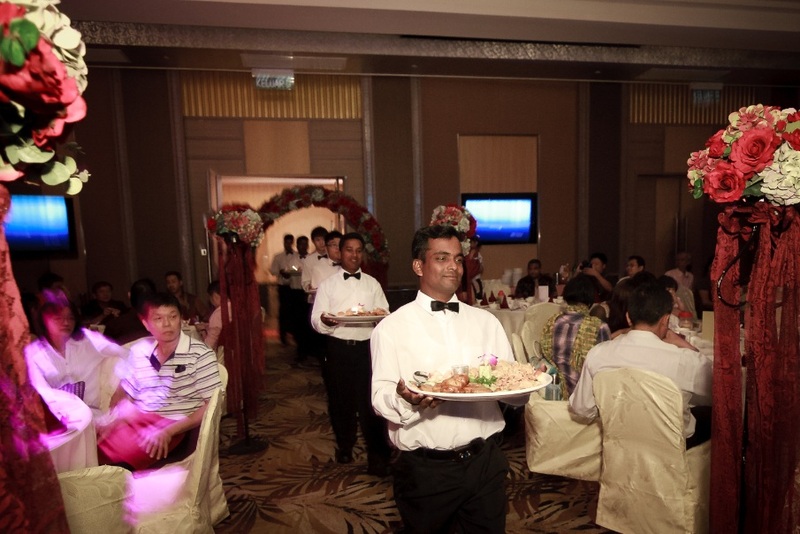 The resort provides their PA system, any additional sound equipment, instruments brought in will be charged RM350. Rehearsal of the sound system, lighting, running through the schedule and DVDs/ songs to be played on wedding day with the technical personnel from Tropicana Resort, is arranged approximately 1 week before actual date. 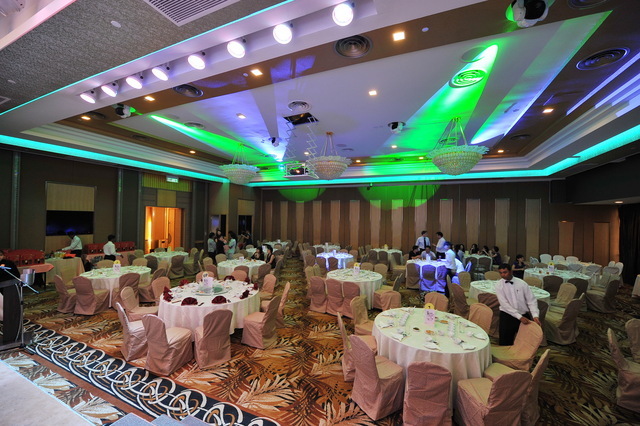 The use of the ballroom moving heads (intelligent lights) costs RM200. They provide about 20+ baby chairs. You can still finalize the total number of guests two days before AD. Just sent. You got it? give me your address as well. Yes tropicana is very demanding i know. But the manager, she is irene never return my call!!! I asked if still got place for my wedding, she said going to check with tropicana management but din call me back. twice I call to ask. the other manager is much better!!! she is Diana, at least she called me to say it fully book. I dealt with Diana too. She is very prompt. If she needs to confirm something, she would check and get back back to me (on the same day). She also called me to confirm the little detail, is helpful, and willing to add more complimentary invitation cards when requested. 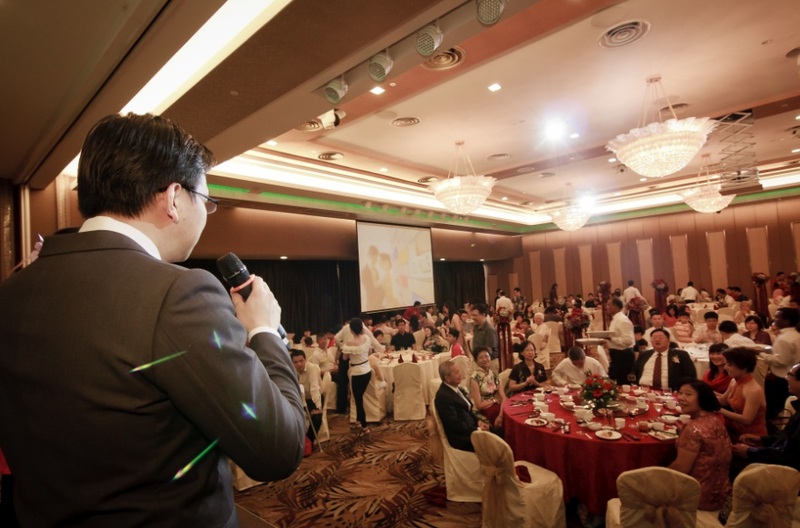 may i know if there's a minimum table in order to have the banquet hosted at the resort ballroom or function room? The smallest room, Greens I, 8 tables. I booked the Ballroom III which requires a min of 25 tables. an example of how they charge you is something like this -> you can finalize the number of tables 2 days before wedding day. If the estimated number is 24 tables, then you can finalize as 23+2 (25 being minimum). If only 23 tables were opened for the wedding, you will be charged 25 tables. the 2 tables can be redeemed later on other days. if your finalized number is 25+2, and if the actual tables being used is 24, then food from one table will have to be packed. do you have the quotation package? thanks!! 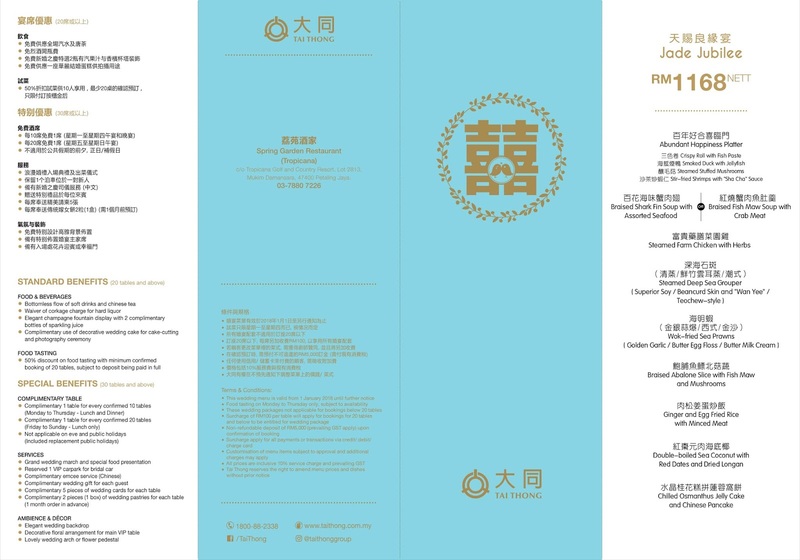 Here's the menu package: http://www.taithong.com.my/download/wedding_menu.pdf. 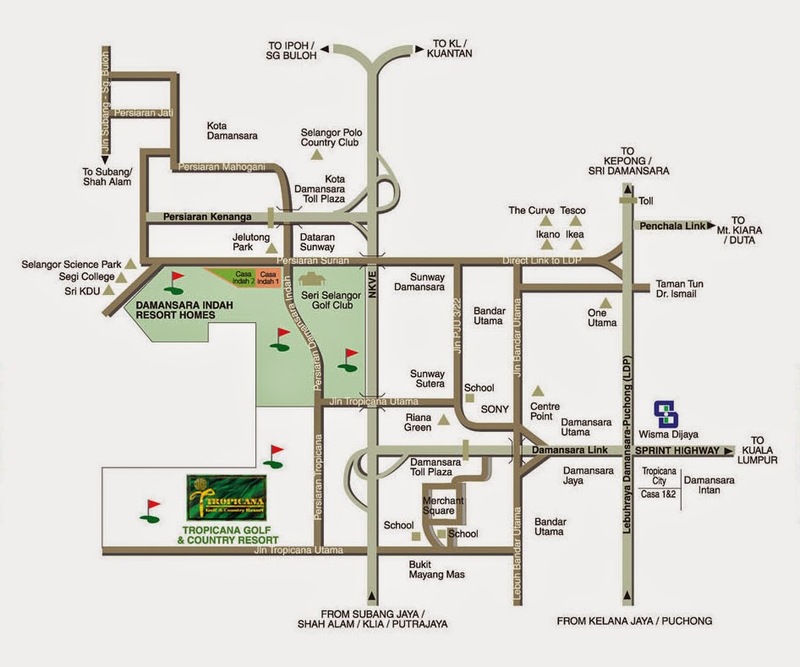 Scroll down to Tropicana Golf resort PJ. Is this what you are looking for? It says benefits for 30 tables and above, but if you take 25 tables, you are eligible for the benefits. Great to see your blog. We just got to know about this place too and we are rushing for December. Just now called and talked to someone named Mr Feix who is very prompt too and send us all the information. Personally I feel I will choose this over others but lets see how it goes. Hi ranul, I uploaded the photos of my wedding reception. haven't gotten the big size photoz yet. Lovely, the menu at taithong website is removed. Possible to share that with us? Dropped them email but they haven't come back to me! Hi, would you be able to pass me Diana's email address, as I am from Singapore and would like to contact her via email. Thank you so much. You can email Diana Chye at sgtropicana@ttrb.com.my, this is the email I used to communicate with Diana and Raymond (the other PIC). Hey anonymous, will scan the menu. trying to look for it forgot where I place it. 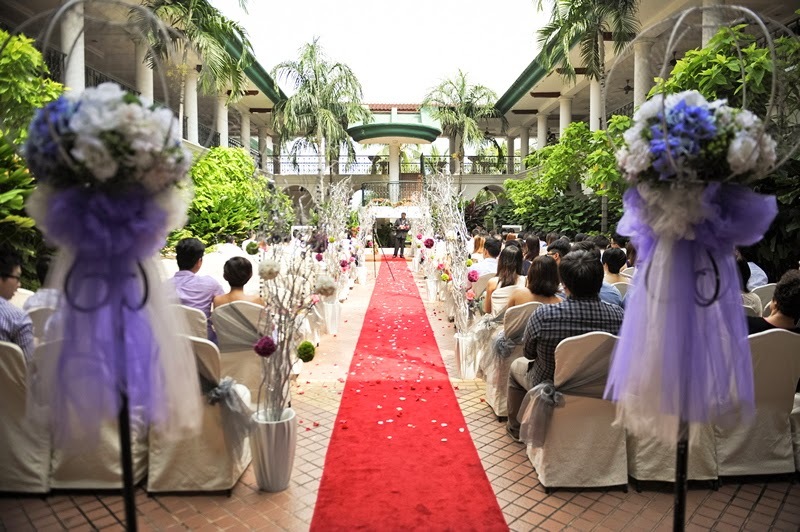 hi Lee Ann, I'm wondering if i can do both garden wedding and reception in tropicana. from your experience, is tropicana a good place for both of these events? thanks! 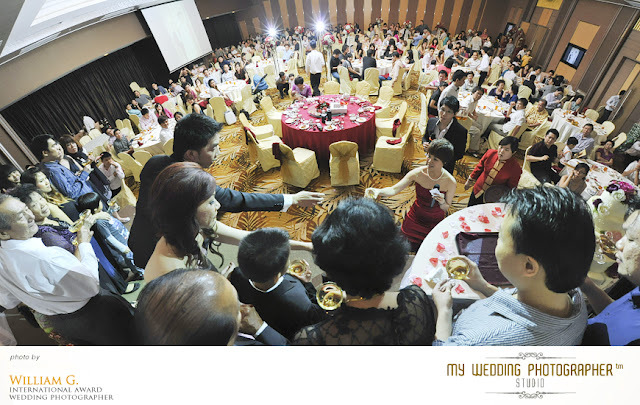 I strongly recommend the ballroom for your wedding reception, one of the best value for money venue. Not so sure about the outdoor wedding though. I have added a couple of photos of the Spanish Courtyard wedding setting. The place itself looks kind of old'ish however it has a special colonial style and charm. With some decor the outdoor wedding will be a unique one. Anymore comments on the food? 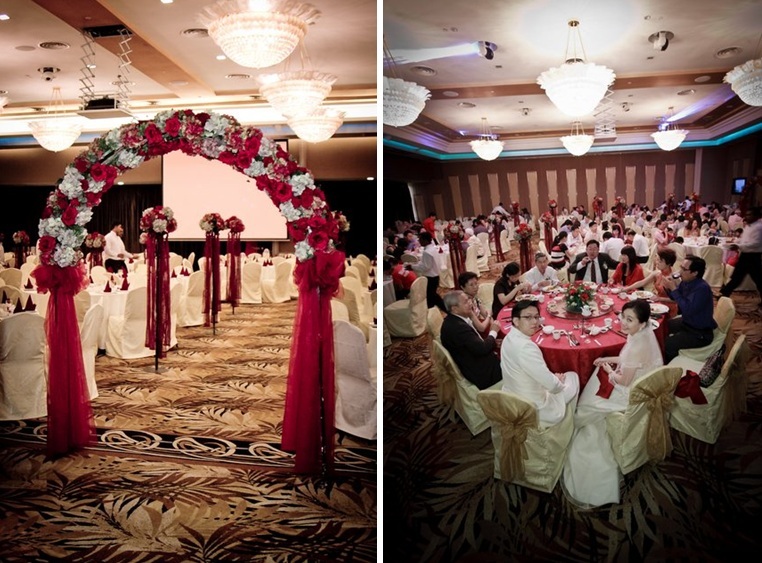 Has anyone attended any wedding dinner at Grand Imperial? I have and I really enjoyed the food there although venue may not be as good as Tropicana. I'm thinking of having mine in here too. How's the food?? because my parents are quite fussy on the food part. Thanks! According to my relatives, the food was really good. One of my aunties commented it was better than the food served in my other sisters' weddings at Royale Bintang (Hilton) Seremban and Cyberview Lodge. Food tasting was not that good though, just normal I would say. On my wedding, I only tasted the starter combination platter and some soup, it was a pleasant surprise that the restaurant (Spring Garden) managed to deliver such good quality food for over 20 tables. Mind to share the menu you ordered? Can PM me? 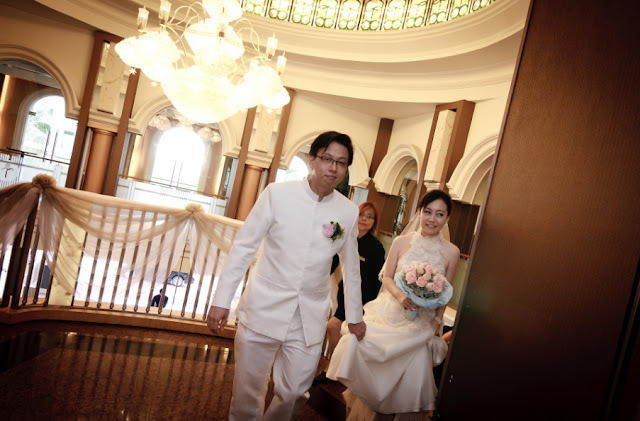 I am the Admin for Tropicana Golf Club & I came across your great wedding photos. Would like to ask for your permission to have it upload (mainly need venues photo) to our Facebook page. Will be good if you can agree on this ;) Thanks! Thanks for dropping by. Yes you may use the photos. Some are my own photos but others I have taken from other websites, where the source has been included. As long as the source is cited, it's fine. Are the deco in the pictures provided by TaiThong or did you hire any decorators for those? The decor was provided by the restaurant. 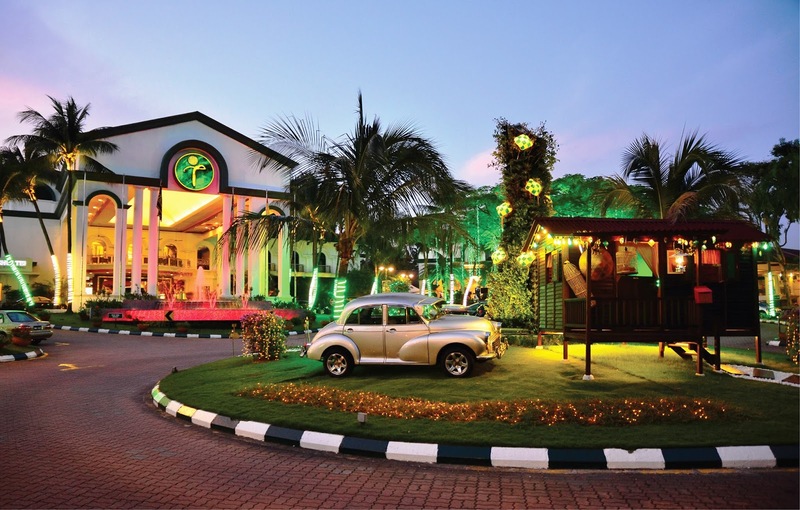 Can I know what is the wedding package at tropicana golf?? Unfortunately I only have the package for 2012 which has been attached at the bottom of this post. 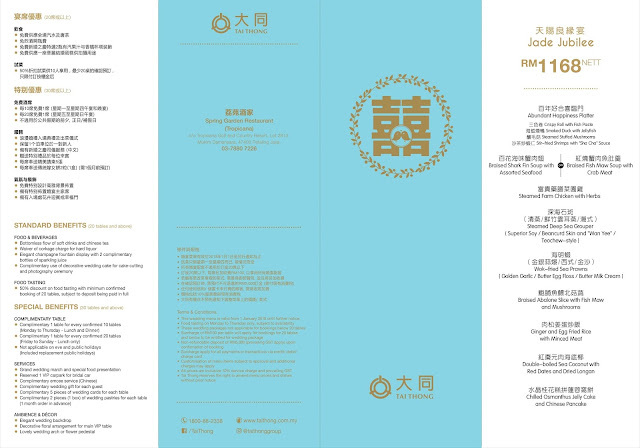 I have updated the 2013 package (Spring garden Chinese Restaurant). I don't have the Golf resort's package details. Anyone with the information could share? Just had my wedding dinner reception at Ballroom 3 a few weeks ago. The venue ambiance and decoration provided is good. However, the reception hallway is a bit narrow, which can be an issue when taking photos with arriving guest :P.Just need to remember how to position correctly. Most of my guest commented and was surprised that the food is good and served hot. 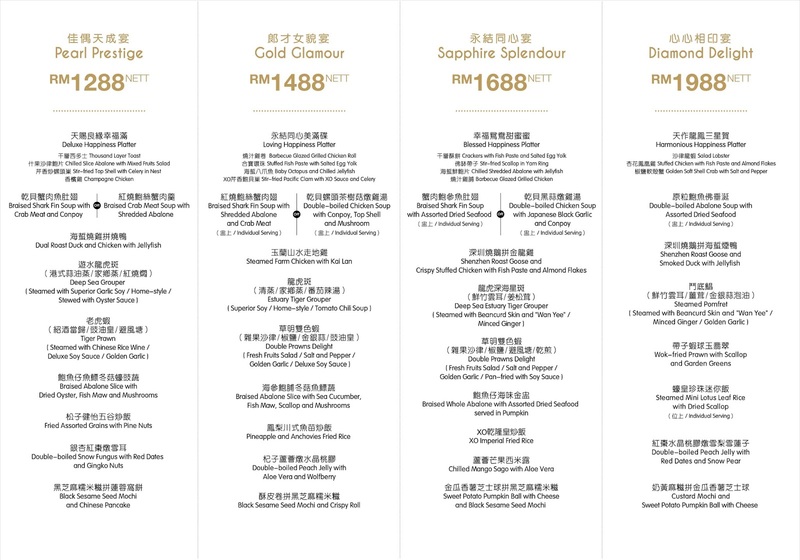 (We took the most affordable menu) Do take note that pricing for menu is more for the venue and ambiance and pricing is considered expensive if we are to compare a similar menu offered by a Chinese restaurant. We got some feedback that the service of the waiters need improvement (they seemed shorthanded). Overall, we were satisfied with service provided and would recommend this place to guest who are looking for a place that could provide a good ambiance with good food without the hotel venue price point. We just placed my deposit with Spring Garden Tropicana last week for estimated 35 tables dinner next year October. We were choosing between Tropicana and Extra Super Tanker The Club. 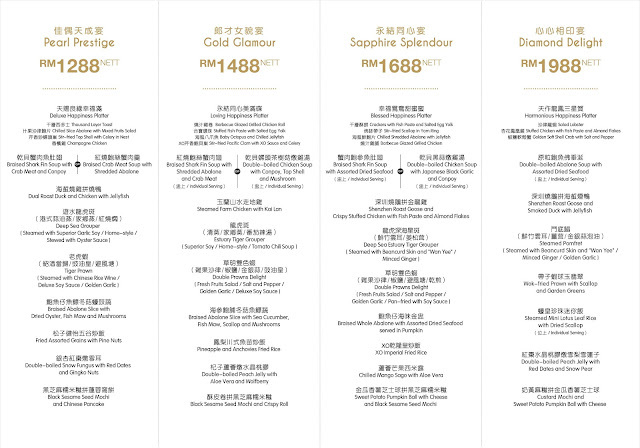 Tropicana's menu does seem slightly pricier, but chose Tropicana eventually for the more comfy venue. I am happy to hear another testimonial that the food was satisfactory. Not sure how slow the service was, but seeing that food was served hot, I guess it should still be acceptable? I have been informed that the 2014 menu will only be out in next month. Fingers crossed it will not be too much pricier. We decided to make the booking anyhow since it is the same situation everywhere else, and we already had to postpone from our initial choosen date of September 2014 as the two venues were already booked on that date. Will try to share the 2014 package once we get it.